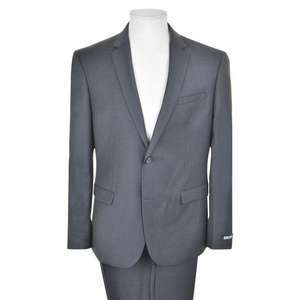 Enhance your formal collection with this two piece wool suit from DKNY. constructed with a slim fit and feature a zip fly closure. Good luck if anything goes wrong! And if you start getting emails from …Good luck if anything goes wrong! And if you start getting emails from companies you’ve never heard of you know who sold your details!!!! Best way to find this out is to fill in the 'middle name' section with the companies name when completing your order. Usually you'll get emails and it'll say your full name and you'll know who sold your details. Purchased one. Hope quality and size are ok.
Good luck if anything goes wrong! And if you start getting emails from companies you’ve never heard of you know who sold your details!!!! Have bought a couple of things from Flannels.com and have had no problems with spam mail. Make sure you opt out of receiving offers etc. when given the choice. Best way to find this out is to fill in the 'middle name' section with the …Best way to find this out is to fill in the 'middle name' section with the companies name when completing your order. Usually you'll get emails and it'll say your full name and you'll know who sold your details. Bit of a con you can't choose the size of your trousers. Trousers (waist) are usually 6" small than the jacket size. £50 for a 100% wool suit is a good price. The free delivery code doesnt work even on the app - any pointers? Really good for the price. You won’t find a better suit. I got myself 2, really pleased with them and I wear suits daily at work. Absolutely fine. Considering a primark suit costs £45 this isn't too shabby. Better quality and looks very nice. I would say that the trousers arent really 'slim fit' though and I have taken my two pairs to a tailor. Great quality for the price but they are not true to size (very small) so I will be sending themback. Yep. Free delivery code doesn’t work until you get to checkout and at the payment stage. There is another section for the code then.